In fact I think it’s made me stronger—especially as a chef. Chefs need to adapt, and to pick-up-and-move really quick. I never have a fear of jumping into the unknown. I’ve been there. Countless times. "You can overcome anything you want: You can go through hell and back and you could still become a successful person. It doesn't matter how you grew up or where you grew up, it's all the things that you overcome that make you who you are and it will make you stronger"
"Heat and his co-workers at Fairmont Pacific Rim organized a food drive and collected enough food to stock the Punch ‘n’ Munch food pantry for a full month. Read on to find out why Heat donated and what he hopes his donation will accomplish." It’s his Vancouver-famous artisanal bacon—the best cured pig belly I’ve ever had, hands down. "Debuting at Vancouver Farmers Markets this past May, Heat Laliberte of One Arrow Meats sells his artisanal, naturally-smoked bacon twice monthly at Mt. Pleasant Farmers Market. Besides producing some seriously tasty bacon, Heat works as a chef at the Fairmont Pacific Rim Hotel and feeds athletes at the Olympics in his spare time. 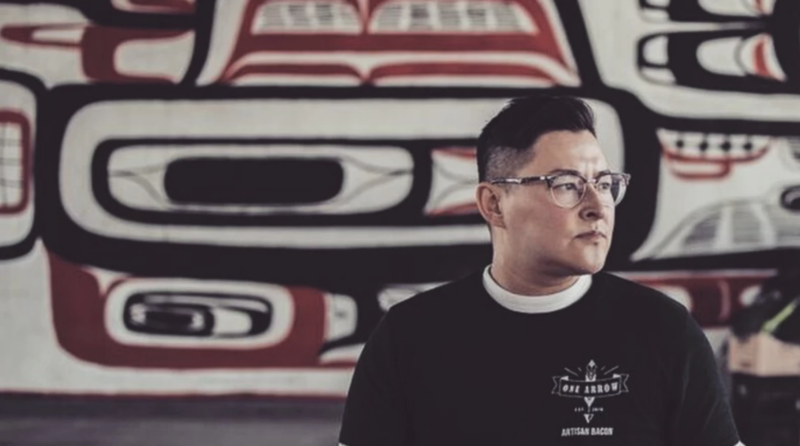 He also mentors kids at the Urban Native Youth Association and supports Good Food For All’s Punch n’ Munch Program at the Eastside Boxing Club." "It was really interesting reading about you, you are a fasinating chef"